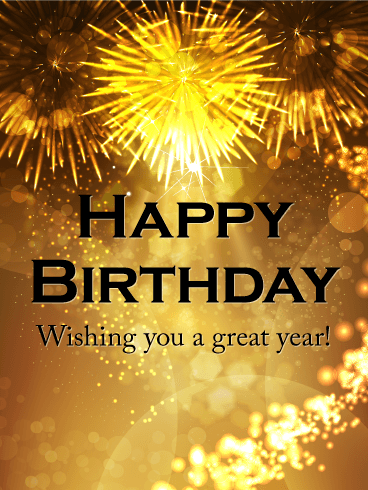 Happy Birthday - it's time to have fun and celebrate! 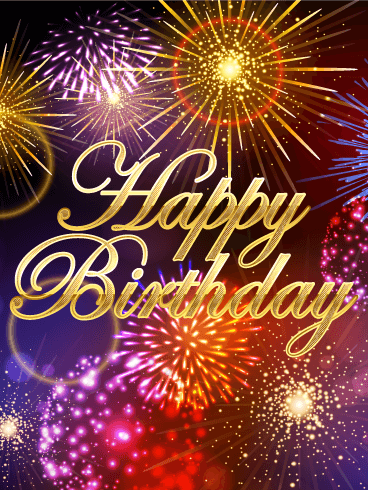 If you have a friend, family member, or coworker who is celebrating a birthday soon, you've found the perfect Happy Birthday card to send! 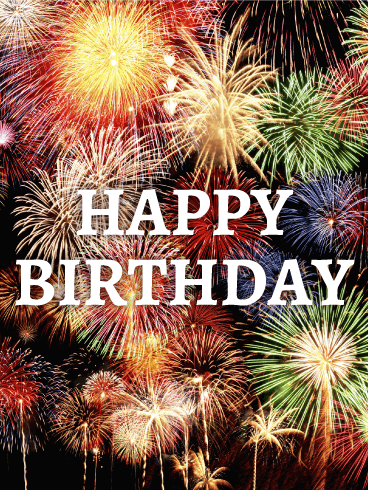 The dark skies and bright, glittering fireworks will spark happiness and excitement for their birthday fun! 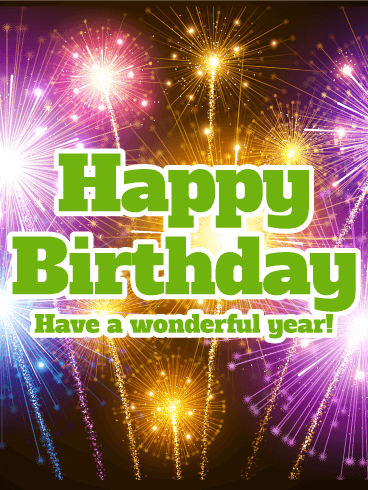 Make this a birthday they will remember forever with this fun birthday card! Is your loved one almost too beautiful and magnificent to look at? Do they shine bright even in the darkest of times? 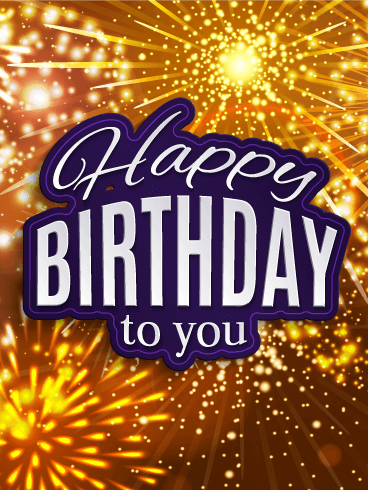 Show them how much you appreciate the light they bring to your life by sending this birthday card for their birthday! 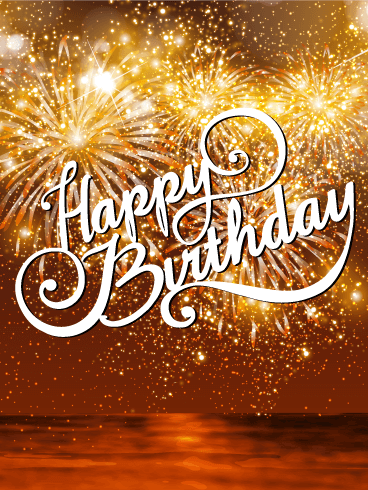 This Happy Birthday card shows a picture of bright, sparkling fireworks at sunset - the perfect way to show how they brighten your life. Send it today! Everyone knows birthdays are a cause for the biggest and best celebrations. 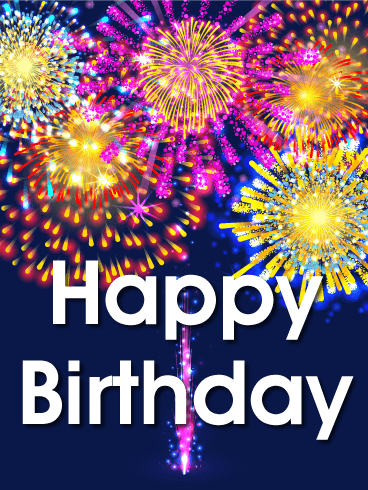 Luckily, you can use this Happy Birthday card to send a full celebration in a card! It features a night sky that is filled with pink, purple, yellow, and red exploding fireworks. 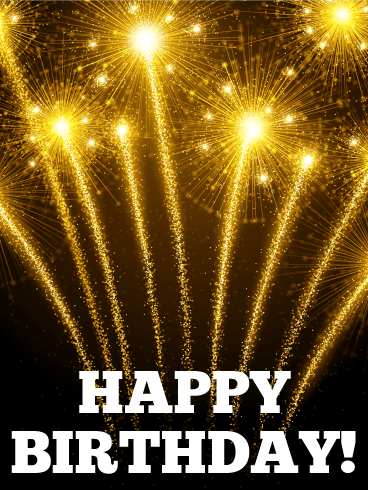 Under these large fireworks, "Happy Birthday" is written with bright, snapping sparklers. 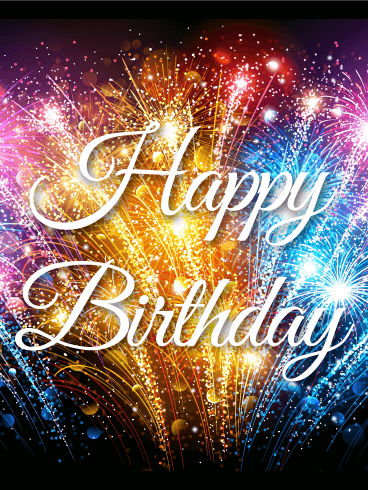 Send this card to the people who light up your life today! Light up the night! 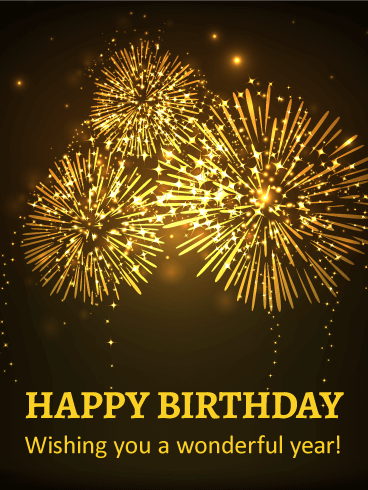 Send a birthday card in a blaze of golden firecracker light for a wish that really wows! A terrific birthday card to send absolutely anyone. 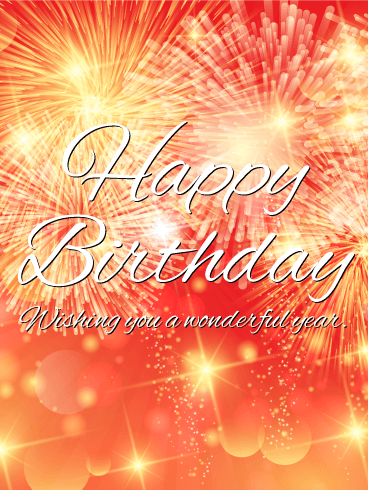 Wish happy birthday and a great year ahead with this stunning birthday card. Fireworks are the best way to celebrate a special day. They turn our eyes to the sky in awe and wonder. Birthdays are very special days. 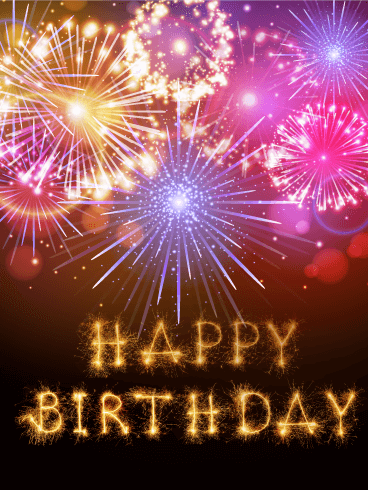 To celebrate, send this fantastic Happy Birthday card to the birthday boys and girls you know! 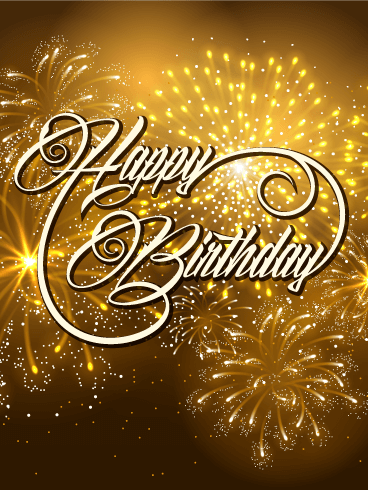 Browns and golds fill the background as golden fireworks explode with bright swirls and sparkles across the card. 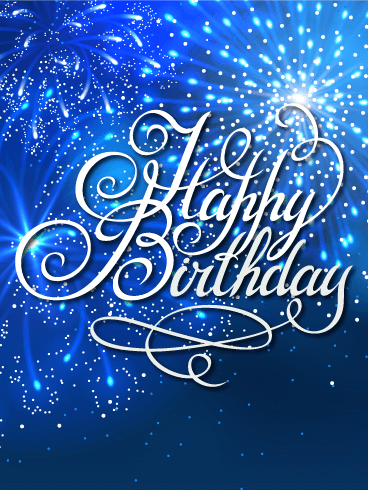 Large, swirled text forms the "Happy Birthday" message in the center. 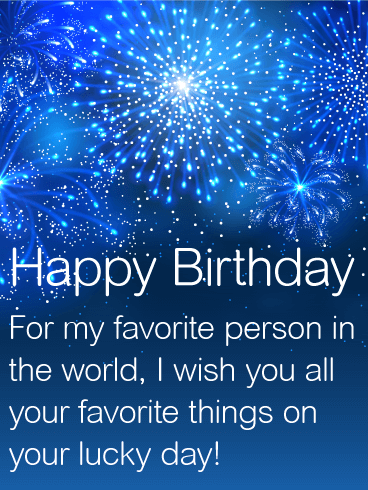 Use this birthday card to start the birthday celebration for those you love!